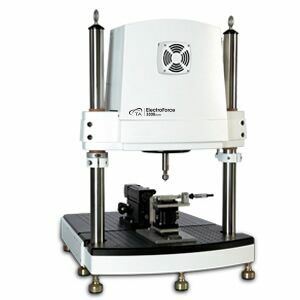 Designed to evaluate the fatigue and wear characteristics of dental materials. The TA ElectroForce® 3300 dental wear simulator is well-suited for characterizing the effectiveness of restorative dental materials including enamal replacements or sealants . The wear simulator can effectively run hundreds of thousands of cycles for the evaluation of two-body wear investigations.